Last month I went to the KCFDC Board Meeting and asked permission to sell KCFDC apparel; shirts, hats, and patches. I was granted permission. The purpose is to grow membership and club awareness/unification. Any profits will be turned over to the club for various development activities like course upgrades etc. 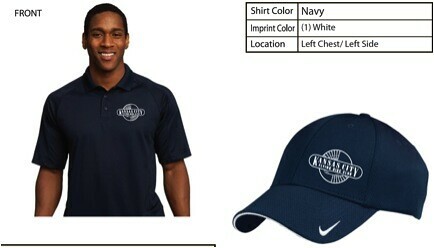 There are two hats in Navy with the logo embroidered on the left front side in white to choose from. One is the New Era -Stretch Mesh hat for $17.00. I have seen this had being sold by some other disc golf companies in different colors and if you look around you might able to check it out. 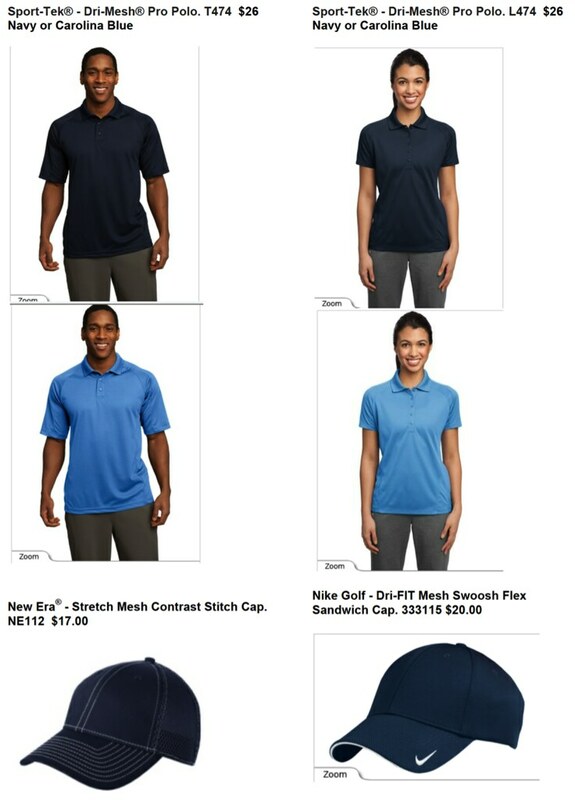 The other hat is the Nike Golf - Dri-Fit Mesh Swoosh Flex Sandwich Cap for $20.00. I will be taking preorders through September 15. You can either PM or send me an email at eric_eastwood@yahoo.com with your order. I will need the following information: men or ladies shirt, shirt size, shirt color, quantity, hat type, hat size. I will be attending various leagues, East-West Ch, and various tournaments to collect money and orders. I am hoping to get these back and distributed at the Club Championship. Depending on interest, I will take additional orders after September 15th and at the Club Championship and distribute at 2013 Ice Bowl if not before. I'm working on Patches too, but I'm not as far along. I will post with these details later. If you have any questions or if I missed something obvious, just ask or blast. I know the KCFDC isn't shy. sweet! but wheres the hoppy wheat? I'll take a M/L New Era hat. These would have been handy. I will take a Men's 2XL Navy. I agree, but they will still be handy in the future. Just so you know. Sport Tek Dri wear runs a little tight. I normally wear XL and in those I go XXL. 80 acres hoppy wheat should be on the shelves soon if not already! Woot! Will be sending a PM for one of these shirts! I'm still taking orders. I will be at Water Works league this week for E/W challenge if you want to give orders to me then. Here's a picture of the shirt and hat with the logo. I think they look sweet! Will you be at lions den? I haven't gotten the hall pass yet for it, so I still don't know yet. I'll post on here if I am. I will be at the Old Settlers Open taking shirt and hats orders for KCFDC apparel. I am not playing in the tournament, but I thought I would come by before it got going. If you don't know who I am, my name is Eric and I will be wearing a Navy Tennessee Vols hat sitting in a blue lawn chair. If I'm real ambitious I might make a sign. No promises though. See you all out there.